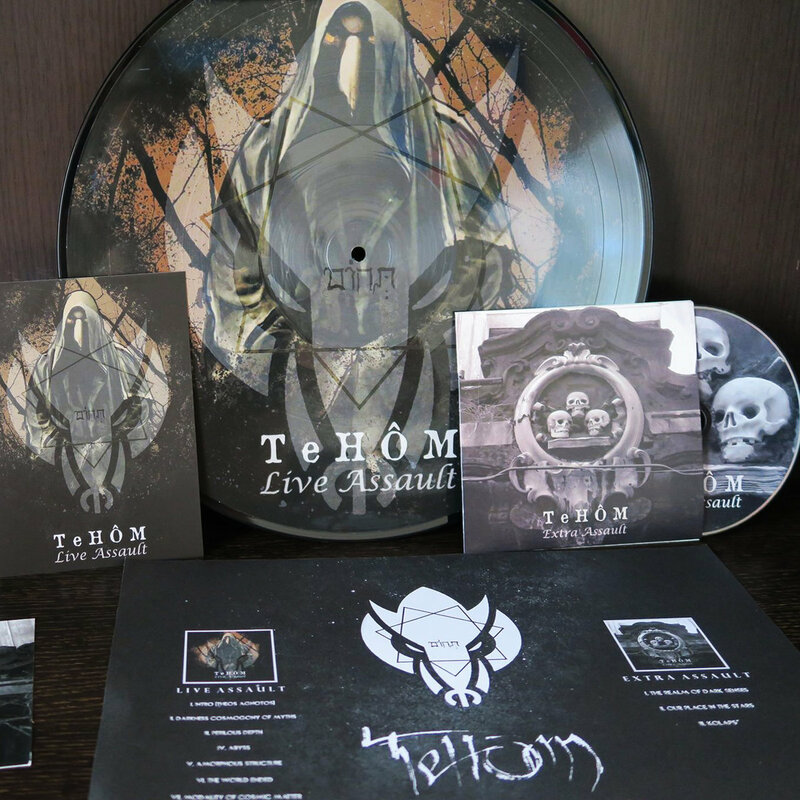 TeHÔM is a name that has been around the dark ambient scene for the last two decades. But, the volume of output would not lead one to believe it is so. This is on account of the tragic loss of the founding member of TeHÔM, Siniša Očuršćak who died in 1997, leaving the project in the hands of Miljenko Rajaković. The first two albums Despiritualization of Nature and Theriomorphic Spirits released in 1996 and 2000 respectively. It wouldn’t be until 2014 before Rajaković would release the third offering, Lacrimae Mundi. An album, which was the first to be created solely by Rajaković. Yet, Lacrimae Mundi released on Cyclic Law to nearly universal praise by the dark ambient scene. Miljenko Rajaković had successfully revived the project and took his new album out on the concert network of the European continent over the following years. Live Assault is the result of a recording from one such concert date on 12 August 2016 at the Brutal Assault Festival in Czech Republic. The live recording of this release is quite impressive. The engineers used several microphones placed on angles which would capture sounds, not only from the artist, but also from the crowd. There are different points throughout the release where we will hear the crowd, but it never overwhelms the mood of the music and is only particularly noticeable at the end of the performance when they clap and cheer. There is an overwhelming three-dimensional feel to this release, which I recommend to enjoy at the highest volume acceptable, in order to really feel the performance as it would have been felt by the crowd. The highs are crisp and the bass is crushing. Miljenko Rajaković vied to execute this performance at a slower speed/tempo than on the original versions of the tracks. This slowing makes their darkness even more abysmal and menacing. On “Darkness Cosmogony of Myths” the vocal recitation of some potent words by Edgar Allen Poe with this slowed down effect is brilliantly realized. As a listener, you might not immediately recognize the difference in the speed of playback, but if you really start to pay attention, you’ll notice the difference, and likely appreciate the performance all-the-more for it. This potency is also noticeable on “Amorphous Structure” during the vocal samples, which take on an even more unsettling effect than on the regular album edition. “The World Ended” was my first encounter with TeHÔM, and the reason for which I quickly fell in love with the music of this artist. Its rendition on Live Assault is a powerhouse of deep rumbling bass. It is indeed a sonic assault on the senses. If you have this one cranked up, your not only going to hear it, but you are going to feel its reverberations throughout your body. Again, the slowed down version of this track adds an increased effect of dread and despair to its already chilling subject matter. Bursting into “Modality of Cosmic Matter” following “The World Ended” keeps the momentum going. This track is again, one of my favorites and its rendition on Live Assault is as good as, if not better than, the original version. The sampled vocal passages continue to take on that eerie haunting effect that they have produced repeatedly throughout the performance, seemingly each more potent than its predecessor. The first two tracks on Extra Assault appear to be outtakes from Lacrimae Mundi. Fans most familiar with that release will not find anything too unusual about these tracks, if you loved Lacrimae Mundi, you will love these. They follow the pattern laid out, which would include deep rumbling bass, haunting vocal samples with overt religious symbolisms and a reserved use of tribal-like percussion sections. The one main feature that stands out is “Our Place In The Stars”, a track that originally surfaced on Eudoxus by the Kalpamantra label, with a vocal sample which seems to come from a different source than the majority of others used by TeHÔM. Yet, it is still masterfully incorporated into the music. “Kolaps” the third track on the Extra Assault disc is dated back to the origins of TeHÔM. We should be thankful that Miljenko has decided to include this one on the release because it’s a disquieting experience. It gives us a side of TeHÔM that most fans of only the Lacrimae Mundi release will not be familiar or expecting. There are deeply disquieting vocal samples that permeate this track entrenched in what feels like a sample from some battlefield, making for an exceedingly dark and daemonic end to the Extra Assault disc and the album as a whole. Miljenko Rajakovic dedicated this release to the memory of the industrial pioneer John Russell Murphy (11 July 1959 – 11 October 2015). For those unfamiliar he was an Australian drummer, percussionist and multi-instrumental session musician who played in Australian and British post-punk, ambient and industrial music groups. Around the ambient/dark ambient/post-industrial scenes he would have been most well known for his work with SPK, Krank, Death In June and his industrial music trio Last Dominion Lost, among many other projects and collaborations. Live Assault is one of the best live recordings I’ve heard. I really wouldn’t be able to notice that it was recorded in a live setting other than a few minor moments. The sounds are full and the music is precisely executed. The change in tempo makes the release have a totally different feel than the original album, which absolutely warrants its release as a separate entity. 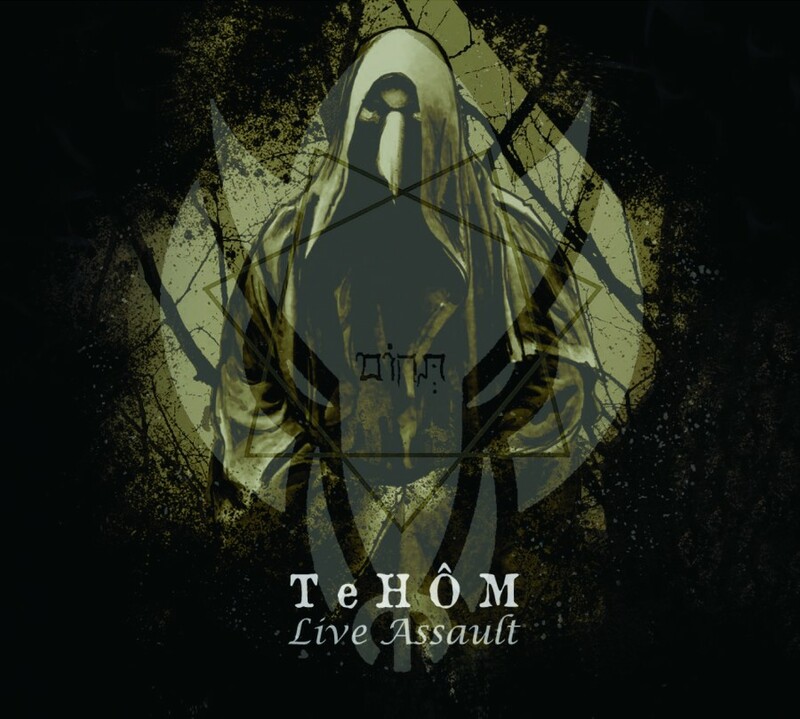 If you are a fan of TeHÔM, I would highly recommend this release to you. If you have never heard of the project, this is a great place to start!